Even though the weather in Alexandria doesn’t get too extreme during the winter, the cold, dry air and regular changes in temperature can wreak havoc on our eyes. 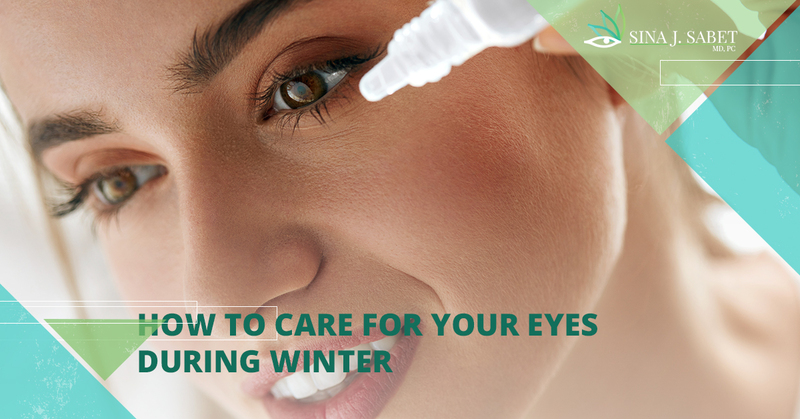 And while everyone should be taking care of their eyes regardless of the season, it can be more difficult in the winter. The ophthalmologist Dr. Sina J. Sabet and his team of eye doctors want to ensure that all Alexandria residents are safe this winter and have the tools and resources to protect their vision. If you have dry eyes, sensitive eyes, or if you wear contacts, this blog is for you. To keep your eyes healthy and to prevent issues from developing this season, read these tips and schedule an eye exam with your local optometrist. Did you know there is a condition called Dry Eye? It is typically caused by medical conditions, medications, and environmental conditions, such as exposure to smoke, wind, and dry climates. Dry eye occurs when glands in the eyes produce fewer tears, and this can be exasperated in certain conditions. It can lead to stringy eye discharge, redness and pain, blurred vision, and a feeling of heaviness in the eyelid. 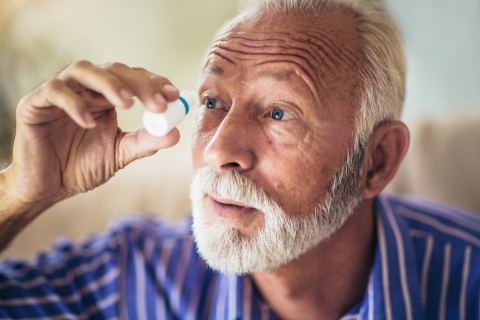 To prevent dry eye from developing, or to keep your eyes moist in general, consider using artificial tears or eye drops. You can also use a humidifier to add more water to the air. It may surprise people how frequently they should be wearing sunglasses. It’s not only necessary to wear them driving in the car on a sunny day, but also whenever you’re outside for an extended period of time, especially when there is snow on the ground, and even while it’s cloudy. An important difference between eye care in the summer and in the winter is that snow on the ground allows UV rays to reflect off the snow, so harmful rays can reach your eyes from above and below. And some people still don’t realize that UV rays can be harmful even on cloudy days. 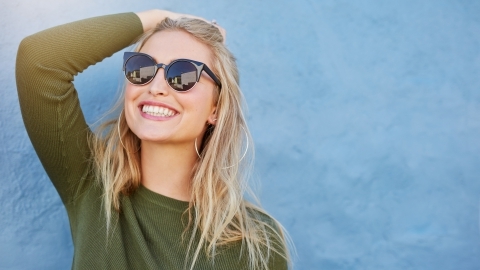 Invest in a pair of sunglasses that block 99 to 100 percent of UV rays and don’t be afraid to use an umbrella or wear a wide-brimmed hat when it’s especially bright. This one is important for all seasons, but there are some situations where wearing goggles is beneficial in the winter, such as when you’re skiing or snowboarding, hiking, shoveling show, or breaking icicles hanging from the roof. If you do make it outside and are doing anything active, it’s a good idea to put on a pair of goggles to prevent any debris from getting into them. If you feel anything in your eye and it doesn’t go away on its own, schedule an appointment with your local eye doctor for an exam. Colds seem to spread like wildfire during winter, but what does this have to do with your eyes? When germs, a virus, or bacteria is on your hands, and you touch your eyes, the germs/virus/bacteria can spread to your eyes. In some cases, this can cause conjunctivitis, or pink eye. Pink eye is incredibly contagious and can spread through surfaces like doorknobs, towels, elevator buttons, and can even spread from one eye to the other. To prevent this from happening, wash your hands frequently (after you sneeze, blow your nose, come in contact with someone with a cold, etc.) and avoid touching your eyes. If you have a cold, use a tissue when itching your eyes. We understand that it can get really cold in Alexandria, but when you can, turn down the temperature in your home so that your eyes aren’t exposed to heat. Being exposed to dry, hot air can cause your eyes to dry out. To add more moisture to the air, use a humidifier. As you may have guessed, hydration and moisture are a big part of maintaining healthy eyes. Even though eye drops can help in an emergency, it’s always best to simply give your body the water it needs directly. If you’re not excited about drinking glass after glass of cold plain water, try hot tea, warm water with honey and lemon, or eating extra juicy fruits or vegetables. Your body gets water in a variety of ways other than just glasses of water, and the extra vitamins and minerals will also help keep your body healthy. In addition to getting plenty of fruits and vegetables, you can also try adding more fish to your diet. Fish like salmon, tuna, mackerel, and halibut are high in omega-3 fatty acids, which can significantly help your eyes retain moisture. Even if your eyes are healthy at the moment, an eye exam can catch any minor issues that could become larger problems when not treated. If you haven’t seen an eye doctor within the last one to two years, it may be time to schedule an appointment. If you currently wear glasses or contacts and haven’t been to the eye doctor in a few years, it is time for an exam to ensure that you have the right prescription. If your eyes start feeling extra dry or itchy this winter, schedule an appointment with Dr. Sina J. Sabet in Alexandria. Our team of eye doctors and ophthalmologists will complete a thorough exam and will gladly take the time to answer any questions you may have about eye care. Read About Our Eye Exams!